Would you like to see your face on the PhotoFinish page? Please send submissions to editorial@wbjournal.com. 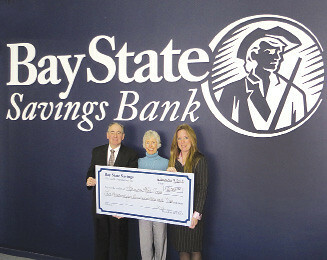 Bay State Savings Bank donated $2,500 to The American Red Cross of Central Massachusetts. Pictured, from left to right, are: Peter Alden, president and CEO, Bay State Savings Bank; Lisa Piehler, executive director, American Red Cross of Central Mass; and Diane Giampa, the bank's senior vice president of human resources and marketing. 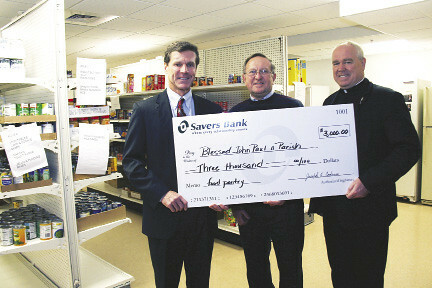 Southbridge-based Savers Bank donated $3,000 to the Senior Supplement food pantry program at Blessed John Paul II Parish in Southbridge. Pictured, from left to right, are: Joseph Coderre, president and CEO, Savers Bank; William Mason, fundraising director, Blessed John Paul II Parish; and Rev. Peter Joyce, pastor, Blessed John Paul II. 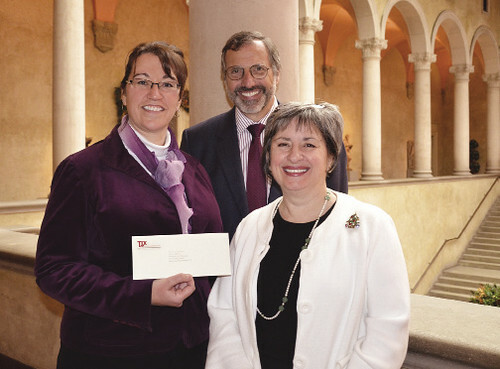 Framingham-based TJX Cos. donated $10,000 to the Worcester Art Museum to support its free Saturday morning admission program. Pictured, from left to right, are: Tracy Caforio, deputy director and COO, Worcester Art Museum; Trip Anderson, museum grant officer; and Martha Layte, associate relations manager of distribution services, TJX. 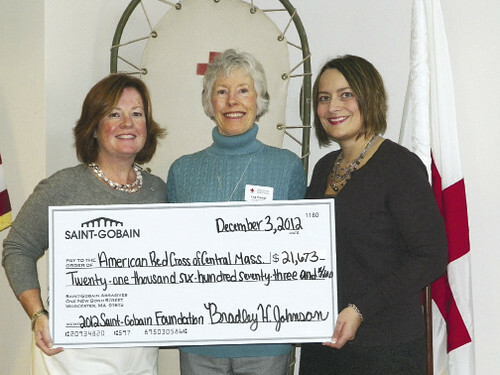 Saint-Gobain donated $21,673 to the American Red Cross of Central Massachusetts. Pictured, from left to right, are: Kathleen Quinty, director of human resources, Saint-Gobain Abrasives Sales & Marketing; Lisa Piehler, regional CEO, American Red Cross of Central Massachusetts; and Lauren Petit, manager of communications and community relations, Saint-Gobain Abrasives. 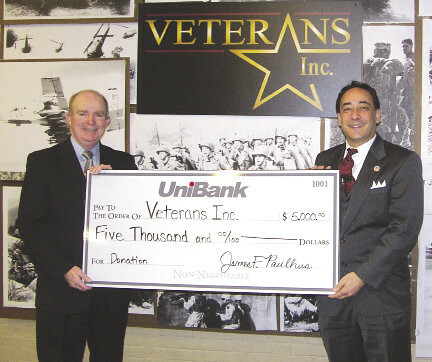 Whitinsville-based UniBank donated $5,000 to Veterans Inc. of Worcester. Pictured, from left to right, are: William M. Mahoney, senior vice president and CFO, UniBank; and Vincent J. Perrone, president and CEO of Veterans Inc.
Framingham-based MutualOne donated $5,000 to the Natick Service Council to support career development services. Reliant Medical Group awarded nearly $52,000 in grants to 10 Worcester nonprofits, including Family Health Center, Genesis Club Inc., and the Regional Environmental Council. The Andrew W. Mellon Foundation donated $600,000 to Clark University in Worcester to support a new humanities program.